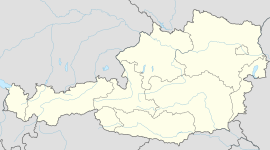 Großklein is a municipality in the district of Leibnitz in Styria, Austria. Its place name can be considered unusual as "groß" is German for "big" or "tall" while "klein" translates to "small", thus, it can be translated as "big-small". The municipality lies on the south Styrian Weinstraße. This page was last edited on 26 March 2019, at 15:07 (UTC).